From the outset the people of Sudan who have been demonstrating in their glorious popular rebellion for over four months categorically reject the Reproduction or procreation of the decrepit National Congress Party (NCP) regime. Moreover, the Flip-flop Drama of changing positions of the elements of the ( CP) regime would not succeed in bamboozling the sharp acumen of the disenfranchised Sudanese people who have been languishing under poverty, deprivation, murder and displacement during the three lean decades of oppressive arbitrary rule led by the most corrupt, abjectly failed bunch of gangsters who messed up and destroyed the wealth and the productive schemes of the nation through their alien political ideology attributed its affiliation to the global terrorist Muslim Brotherhood Movement (MBM) the Khartoum branch. There is a saying attributed to Shaykh Muhammad Metwally al-Shaarawy (may Allaah have mercy on him) that the Accountability and punishment is deferred in everything until the Day of Resurrection except for the injustice of the people. First of all, it is worse referring to the fact that indicating how blockheaded and utterly disdain of the Senior army Officers of Omer al-Bashir to recognize the former leader of the Janjaweed militias Mohammed Hamdan Dogolo – aka - Hamidati who have been promoted to the rank of Genera of in the Sudan Armed Force (SAF)! This nothing but what the popular the proverb says, its protector is its crook! Thus, the Deep State of the ruling regime of the National Congress Party (NCP) consists mainly of the General Hamedti and the First General Abdel Fattah El Burhan and the General Salah Abdullah Mohammed Saleh famous for Salah Gosh. General Abdel Fattah El Burhan, the new president of the Transitional Military Council has a bad record characterized of atrocities of killing and displacement in the Darfur region plagued by atrocities, especially in the Zalingei area where he was said to have told the Fur tribal faction that he represented to the as their Godfather. 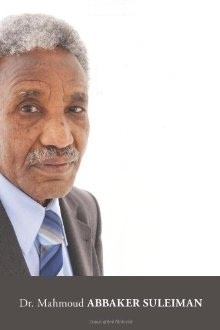 Therefore, solidarity with the demands of the Sudanese people and their stand against dictatorship and oppression and for freedom, peace, justice and change the duty of the uprising, as well as the restructuring and rebuilding of the Sudanese state and accountability of all those who committed crimes against the citizens remain the main objectives of the revolution of the nineteenth of December 2018, which continued unabatedly for the past four months. It is certain that the criminal General Ibn Aouf resigned from the presidency of the military council, as announced by the events, because of the overwhelming public pressure of not accepting him and furthermore that Because of his lack of bias to the demands of the Sudanese masses. More importantly, it was due to the extreme pressure put forward by the US Administration message that reported to the "sponsors" whom Salah Gosh coordinate with in the UAE and Saudi Arabia and that the US government will never accept General Ibn Aouf who is one of those who has been put on the list of sanctions to become the head of state. What is codified the idea of ​​impunity officially.. This will not accept America. Gosh was informed of this as the contact ring with the UAE. After that, Ibn Aouf was informed and Gosh met with Hamiditi for an hour. The council then met and chose al-Burhan as its Chairperson based on specific specifications. Firstly, al-Burhan is thought he is not a member of the Islamic organization and acceptable by the (NCP) authoritarian insiders and along his acceptability by the foreign players such as the United Arab Emirates (UAE), which he has visited several times by virtue of his previous responsibility for the Sudanese forces in Yemen and obviously this made Burhan’s solid and close relationship with Hamiditi, the leader of the Rapid Support Forces (RSF). Based on the foregoing, General Ibn Aouf agreed to announce his resignation and the appointment of Abdel Fattah Burhan after the blessing of Hamidati! According to a reliable source, Hamidati has been promised two seats in the Transitional Military Council. Both Hamidati and his brother Abdel Rahim Dogolo will occupy those seats. According to the same source, the council is likely to approve the formation of a civilian government that includes The Forces Declaration of Freedom and Change (FDFC) and other Sudanese political parties with military figures but with the survival of the military junta in power as a supervisory body. On the other hand, a reliable source close to the Forces of the Declaration of Freedom and Change (FDFC) assured the Sudanese people that no offer would be accepted that did not include the contents of the Declaration. The same source demanded that the masses would not to leave the sit-ins because they are the only guarantor of the demands and not to listen to the rumors. The source said further demanded the Sudanese masses not to leave the sit-ins because they are the only guarantor of the demands and not to listen to rumors. 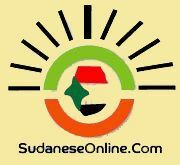 that the (FDFC) of the announcement of the spear and change, including the gathering of Sudanese professionals, will announce to the public any developments. The Sudanese people find the statement was disappointing as it ignored the arrest and accountability of the symbols of the ruling regime of the National Congress Party (NCP) and the dismantling of armed entities of the regime such as the People's Defense Forces (PDF), Student Security Battalions (SSB) and the shadow battalions belonging to Ali Osman Taha. It is noteworthy that the sudden resignation of Salah Gosh, director of security and intelligence has confirmed this. The failure of suspending the work of the foreign diplomatic missions of the corrupt former regime is parts and parcels of the misdemeanors of the statement. To build up upon the aforementioned there is strong need to continue the popular sit-ins. In the course of the discussion, we also hear the previous statements of the political groups represented in the Forces of Declaration of Freedom and Change (DFC) and the gathering of Sudanese professionals, there is complete silence about the Prisoners of war (POW) of the Sudanese armed movements who have been languishing in prison cells of the regime for many years and their whereabouts nobody has told, the fact which stands out as utterly disgraceful. No one knows as to why this information is blacked out for so long despite its humanitarian aspect that the United Nations High Commissioner for Refugees (UNHR) puts it as an essential part of its function. After the pressure exerted by the rebels in the General Command and all the Sudanese cities inside Sudan and those in the Diaspora in foreign countries the honorable officers of the armed forces of junior officers and the officer of the ranks and soldiers responded to the legitimate demands of the peaceful popular revolution and the protection of the protesters, and after the mass public and political rejection of the Gordon Palace Military Coup de état and the so-called Supreme Security Committee (SSC) and the Transitional Military Council (TMC) which are in fact nothing but the other grim side of the National Congress Party (NCP) or the Muslim Brotherhood Movement (MBM). It turned out that the leader of the coup d’état being General Awad Ibn Aouf who was forced to step down and hand over the coup authority to the racist and génocidaire and the engineer of atrocities in the Darfur region , General Abdel-Fattah al- Burhan, who was once a war prisoner of Sudan Liberation Movement/Army (SLM / A) forces, led Abdel Wahid Mohamed Ahmed El Nour in the Shau Fauk area in Jebel Marra in 2003 after entering the liberated territory without prior permission when he signed a cease-fire with the Sudanese government in the Chadian city of Abéché in 2003 and ordered the leadership of the armed movement to release Abdel-Fattah El-Burhan committed to its agreement at the time, despite the protest of some of the military leaders in the movement. And unfortunately that after his release by one week only Abdel Fattah al- Burhan recruited thousands of Janjaweed militias who committed the worst crimes against unarmed civilians and burned more than 85 villages and killed and displaced thousands of civilians within one month and hundreds of women were raped, humiliated and broke their will. The so-called al-Burhan also ordered his troops to use Chemical Weapons in the face of the brave forces of Abdul Wahid Mohammed Ahmed al-Nur and civilians in Jabel Marra, leaving thousands of civilians dead. Abdel-Fattah al-Burhan was famous for his saying that he (the Lord of the Fur tribe) will work to erase them from existence). The Commander Abdel Wahid Mohamed Ahmed El Nour said about the foregoing:” "But Sudan, which we dream of, cannot come through these racists like Abdel Fattah Burhan, Awad Ibn Aouf, Omer al-Bashir and their ilk.” Furthermore, the SLA/A Leader went on saying: “"We in the SLM / A absolutely reject attempts to reproduce the regime in any way and we will continue to adhere to our goals and the demands of the Sudanese street expressed by the youth of the Intifada and the gathering of Sudanese professionals to bring down and change the regime, liquidate its institutions and try its symbols. In the aftermath of that, the attention should go first to the Sudanese Civil Society, the youth and women who formed the majority in the uprising and played he most prominent role in its formation and leadership and chanted loudly for the isolation of all criminals and those wanted for international justice and that they should not have any role to play in shaping the future of Sudan. But their natural place according to the law is life imprisonment in accordance with international law and the fair justice of the judiciary. It is categorically said with the emphasis that there is no place for the phrasal words of God forgive what they have done in terms of crimes committed and have been proven in the Court of Law; Which resonates with the slogan of the popular revolution, which is said: "Freedom, peace and justice”.